Buffalo Bills' O.J. Simpson pictured in the game where he became the first running back to gain over 2,000 yards in a season on Dec. 16, 1973. Simpson led the NFL in rushing in 1972, 1973, 1975, and 1976. Jim Brown led the league in rushing for eight seasons, including five consecutive seasons from 1957 to 1961 and three consecutive seasons from 1963 to 1965. In American football, running (also referred to as rushing) is, along with passing, one of the two main methods of advancing the ball down the field. A running play generally occurs when the quarterback hands or tosses the ball backwards to the running back, but other players, such as the quarterback, can run with the ball. In the National Football League (NFL), the player who has recorded the most rushing yards for a season is considered the winner of the rushing title for that season. In addition to the NFL rushing champion, league record books recognize the rushing champions of the American Football League (AFL), which operated from 1960 to 1969 before being absorbed into the National Football League in 1970. 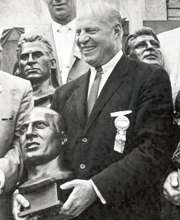 The NFL did not begin keeping official records until the 1932 season. The average amount of yardage the rushing champion has gained has increased over time—since the adoption of the 14-game season in 1961, all but two rushing champions have recorded over 1,000 yards rushing, and the adoption of the 16-game season in 1978 has resulted in many rushing champions recording over 1,500 rushing yards. Seven rushing champions have recorded over 2,000 rushing yards, a feat first accomplished by O. J. Simpson in 1973 and most recently accomplished by Adrian Peterson in 2012. The player with the most rushing titles is Jim Brown, who was the rushing champion eight times over his career. Eric Dickerson, Emmitt Smith, O. J. Simpson, Steve Van Buren, and Barry Sanders are tied for the second-most rushing titles, each having won four times. Jim Brown also holds the record for the most consecutive rushing titles with five, having led the league in rushing each year from 1957 to 1961. Steve Van Buren, Emmitt Smith, and Earl Campbell each recorded three consecutive rushing titles. The Cleveland Browns have recorded the most rushing titles with eleven; the Chicago Bears rank second, with six rushing titles. 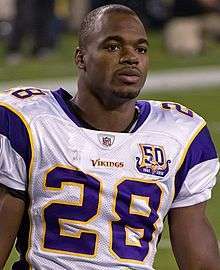 The most recent rushing champion is Minnesota's Adrian Peterson, who led the league with 1,485 yards rushing over the 2015 season. Cliff Battles led the league in rushing in 1932, the first season in which official statistics were kept, and in 1937. 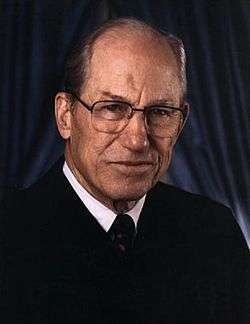 Byron "Whizzer" White, a future associate justice of the US Supreme Court, won the league rushing title in 1938 and 1940. 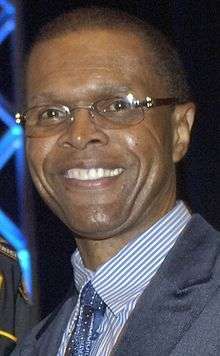 Gale Sayers led the NFL in rushing in 1966 and 1969. Eric Dickerson led the league in rushing in 1983 and 1984, his first two seasons in the league, and won two more titles in 1986 and 1988. 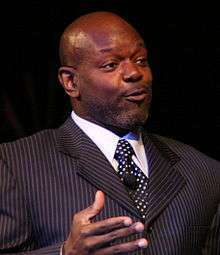 Emmitt Smith was the league's rushing champion four times, including three consecutive years from 1991 to 1993. 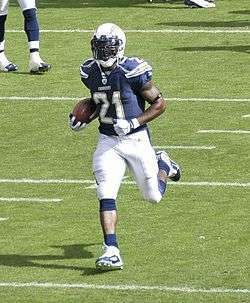 LaDainian Tomlinson won back-to-back rushing titles in 2006 and 2007, and is the most recent player to do so. Adrian Peterson led the league in rushing in the 2008, 2012, and 2015 seasons. ↑ The NFL did not have a set number of games for teams to play until the 1935 season, instead setting a minimum. ↑ The 1982 season was reduced from 16 to 9 games due to a 57-day players' strike. ↑ The 1987 season was reduced from 16 to 15 games due to a 24-day players' strike. 1 2 "Beginner's Guide to Football". National Football League. Retrieved September 30, 2012. ↑ "The Run". NFL360.com. Retrieved June 19, 2013. ↑ "Miami's Bush eyeing NFL rushing title". Foxsports.com. August 16, 2012. Retrieved June 19, 2013. ↑ "2012 NFL Record and Fact Book" (PDF). NFL.com. pp. 625–626. Retrieved June 19, 2013. ↑ "NFL's Passer Rating". Pro Football Hall of Fame. Retrieved June 19, 2013. ↑ "1932 Boston Braves". Pro-Football-Reference.com. Retrieved June 16, 2013. ↑ "1933 Boston Redskins". Pro-Football-Reference.com. Retrieved June 16, 2013. ↑ "1934 Chicago Bears". Pro-Football-Reference.com. Retrieved June 16, 2013. 1 2 "NFL History by Decade: 1981-1990". NFL.com. Retrieved February 27, 2013. "AP MVP winners". Pro-Football-Reference.com. Retrieved March 3, 2013. "AP Offensive Player of the Year winners". Pro-Football-Reference.com. Retrieved March 3, 2013. "Hall of Famers - Alphabetically". Pro Football Hall of Fame. Retrieved March 3, 2013. "NFL Players". NFL.com. Retrieved June 15, 2013. "NFL Regular Season Games Played per Season". Pro Football Hall of Fame. Retrieved June 15, 2013. "NFL Year-by-Year Rushing Yards Leaders". Pro-Football-Reference.com. Retrieved June 15, 2013.